You might or might not have noticed that I have hooded eyes, this is something I didn't really realise or pay attention to before I started to get more and more interested in makeup. If you are interested in makeup, either as a hobby or profession it is a good idea to figure out what your eye shape is. Otherwise you might struggle time after time to try to re create a pretty eye makeup look you've seen, wondering why yours will never look the same? Well, it's because you probably don't have the same eye shape as that person. Hooded eyes mean that when looking straight at my face, or if I take a picture at a straight angle (something I avoid), my eyelid won't really be visible, as the skin above my crease "falls down" and covers my lid. This can be pretty annoying and quite a pain when you are working with eyeshadows. If I was to create a look with a yellow eyelid colour, and black above my crease, when looking straight at me- you would not see the yellow! Check out this picture of me with no makeup on, to see exactly what I mean. Also notice that m right eye (left in the pic), is more hooded than the left one. Hooded eyes also means that if drawing a straight, nice looking eyeliner flick, when looking straight at your eyes- half of the flick disappears and it just looks odd. 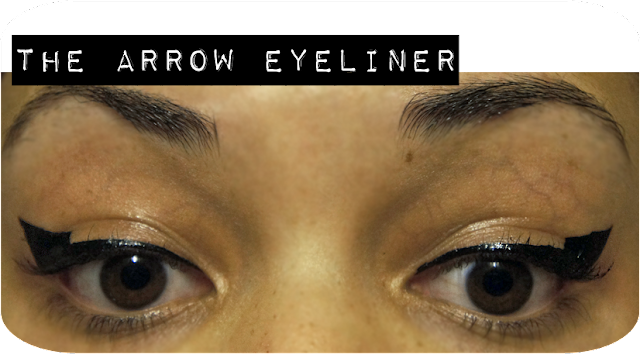 I decided to try something I've heard of- the arrow eyeliner. I figured I could find a way to actually create the illusion of a straight eyeliner even on my hooded eyes- and it worked! See this GIF for a mini tutorial. Bare in mind it was my first time trying this. I outlined my wing, making it thicker than usual, but not connecting the two ends, making the top part non parallel to the line on your upper lash line. This will create the illusion of a straight line when you look straight at your hooded eyes. Also, see this mini collage, with iPhone pics. I used my iPhone only because the front camera made it easy to show how strange the liner looks if looking at it underneath, then gradually shows the results from when looking straight at the eye. 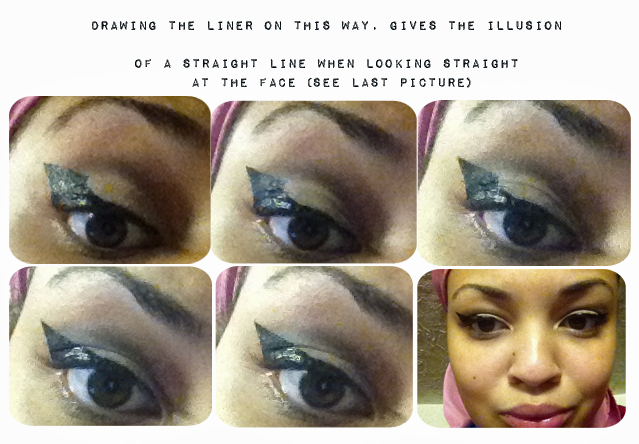 Of course, anyone can try this type of eyeliner, but I find it particularly helpful for us with hooded eyes. have you tried an arrow eyeliner? 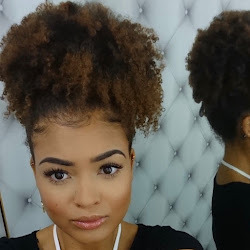 i have hooded eyes so i'm definitely going to try this! When it involves eye make-up you would like to suppose and so apply as a result of eyes speak louder than words. the kind of person you actually square measure will be seen by the kind of make-up that you just apply on your eyes. It does not extremely matter if you've got brown, hazel, blue, or inexperienced eyes however what extremely matters is however you create your lovely eyes look exit enticing. ♥ 30 Day Shred Challenge?